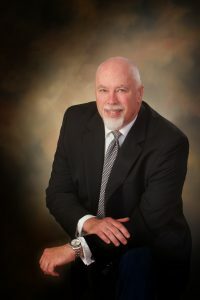 Internationally-known artist and motivational speaker Richard Hight hails from Oklahoma. As a child, dyslexia led to valuable lessons learned about focusing on strengths and recognizing possibilities, not limitations. His artistic gift allowed him to express his thoughts and emotions, and his successes built his confidence. Richard honed his artistry through studies at the Colorado Institute of Art and art-focused workshops. He strengthened his faith at the Moody Bible Institute. And he finessed his speaking skills through workshops offered by the National Speakers Association, of which he is a member and the recipient of the coveted distinction of CSP (Certified Speaking Professional). However, his involvement with the special needs community and the connections he’s forged with people around the world have had the biggest impact on his views on art and motivational speaking. When Richard encounters people who genuinely want to maximize their success and personal satisfaction, he is inspired and energized—just like his audiences are. Richard’s impressionist approach to painting equips him to successfully communicate with his audience. When he performs for groups, he wants the audience to focus on the artistic process, not the finished canvas: he shows that trusting creative impulses can yield surprising and beautiful results. Tens of thousands of people see Richard perform annually. With his often humorous storytelling, he has entertained colleges, universities, schools, non-profit organizations, corporations, fairs and festivals, and sports organizations. The vivid colors he selects, the broad flourishes that coalesce into a stunning image, and the passion Richard possesses: all of these harmonize into an imaginative encounter that inspires and ignites those present. Some events you attend. This one, you experience!